Check out the following titles by Andy Wood! 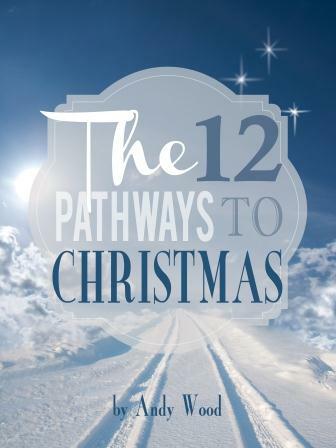 The lives of twelve different ordinary people are forever changed when they embark on their own unique pathway to the true meaning of Christmas. Through stories the author describes as “some autobiographical, some reflections of others I have known, and some made up to make a point,” you will find your own unique pathways to the meaning of Christmas in the brief encounters you have with these characters. Andy Wood combines his many years as a pastor with his experience in working with people from all walks of life to help you discover why God invaded history in the person of a helpless baby in Bethlehem. Just as the first Christmas was experienced by real, excited, hurting, stressed-out, frightened, faith-filled people, so is yours. But those life circumstances – good or bad – can be pathways to breathtaking joy as you discover how greatly loved and desired you are. The Twelve Pathways to Christmas is the first of a three-part series called the Twelve Joys of Christmas. And what greater joy can there be than to discover that your life is all part of a larger plan to give you a future and a hope? Click here for ordering information. UK residents click here.